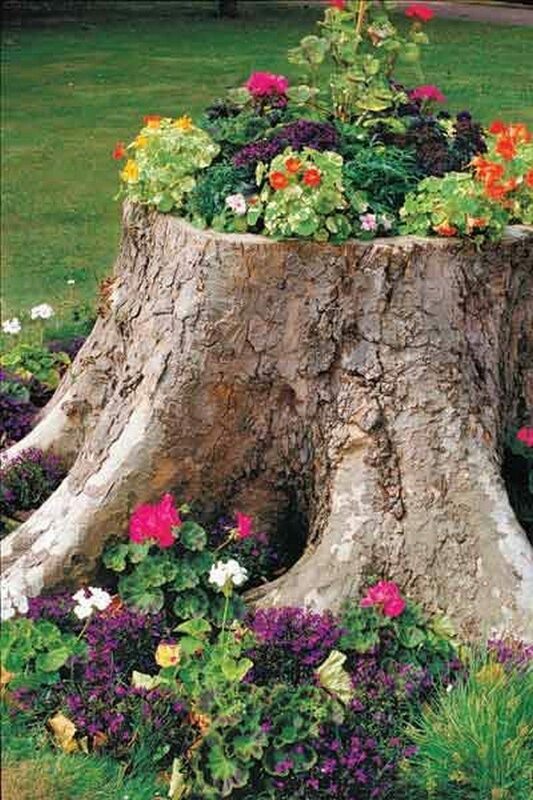 How to Make Your Own Tree Stump Planter | DIY projects for everyone! Removing tree stumps can be a very difficult task. If it’s not necessary to get rid of them in your area, why not turn them into planters instead? This planter idea is simple. All you have to do is hollow out the center to fill it with soil for your plants to grow in! Take a look at some examples from our album below and learn how it’s done!